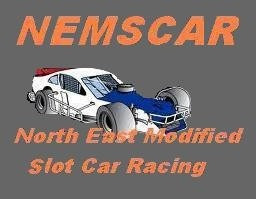 Welcome to the North East Modified Slotcar Racing Forum! The Origins of Reality Modified Slot Car Racing - MUST READ! Read about the Reality Modifieds and how it REALLY ALL BEGAN! Post Event Announcements and Information here! News and Events for the Patchogue Speed Plant! News and Results for the Hamptonite Raceway! The track where it all begins! Visiting Firemen...Just like the Big Guys! The Upstate Speed Spot for Modifieds! Not to be confused with North East Modifieds... this group races Classic Stock Cars and Jalopies up in the Granite State! Slotless MagRacing in the USA! Post you thoughts and inf regarding MagRacing here! Do You Race Full Scale? Racing is in the blood! Post your 'Full Scale' Racing Activitites here! Post any member topics of interest and discussion here! Post any For Sale or Wanted Topics here! Suppliers, builders and vendors of interest to our niche racing activities post here for free! Post your slot car videos here or tell us about interesting related videos on the web here! PICTURE POSTING PROCESS Please Read! Please read this to learn how to Post Pictures!